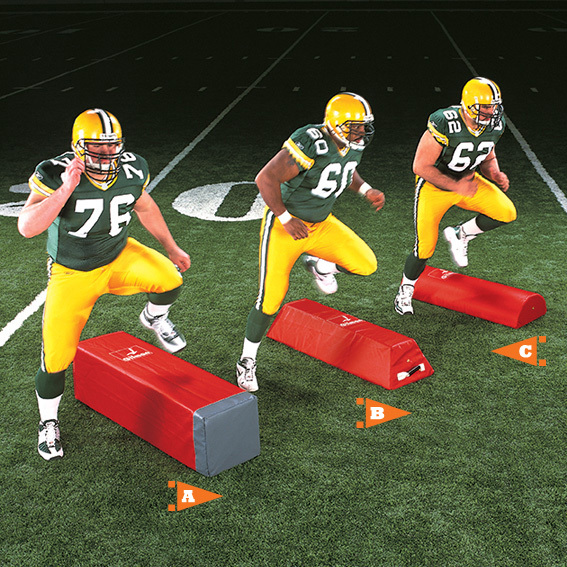 The FULLBACK is a square-shaped step-over. High profile shape demands high knee action. Also doubles as a stand-up dummy. Measures 14" square by 52" tall. Two handles.